Beautiful spot. Close enough to the beach if your game to walk but we had a car. Nice pool area. Good location and nice walk to the beach. We absolutely loved the outdoor shower and the pools were both lovely. The room size was great and the bed was super comfy! We loved all the frangipanis in flower, the grounds and gardens are beautiful. I particularly liked the outdoor shower and sharing it with a Green Tree Frog! The pool was excellent being mostly salt that didn't irritate the eyes or skin. The bed was extremely comfortable & I adored showering alfresco. Overall everything was great - had to get use to the out door shower. Was in a great location a close to very thing once we got use to everything . Everything was fantastic and staff extremely friendly and helpful. Comfortable bed, outside shower was fantastic, room very spacious & had everything we needed. Staff had the aircons on for our arrival so it was nice & cool. 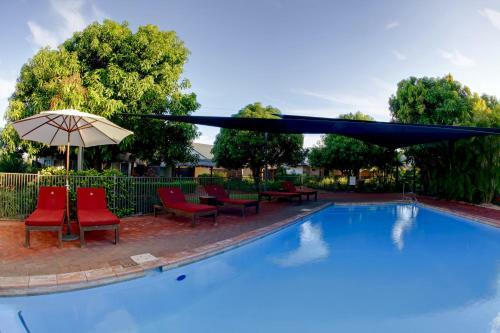 Lock in a great price for Mantra Frangipani Broome – rated 9 by recent guests! 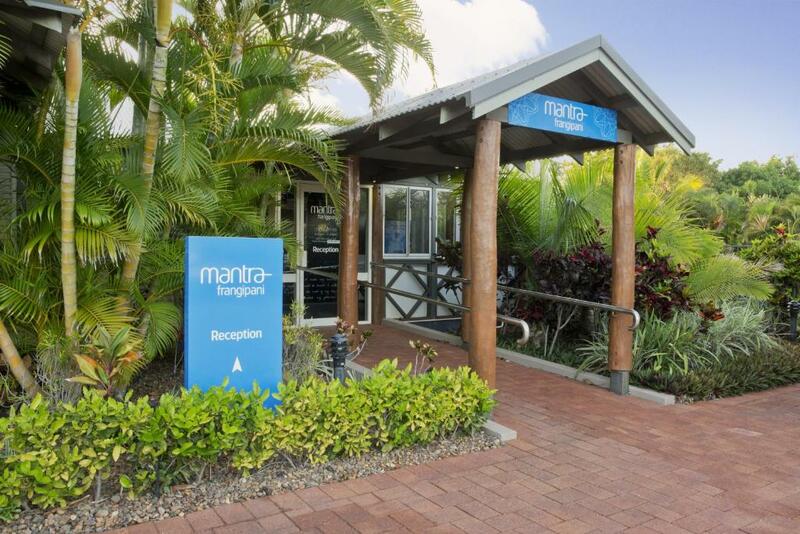 Mantra Frangipani Broome This rating is a reflection of how the property compares to the industry standard when it comes to price, facilities and services available. It's based on a self-evaluation by the property. Use this rating to help choose your stay! One of our best sellers in Broome! Located within a 20-minute walk from the white sands of Cable Beach and an array of restaurants and cafes, Mantra Frangipani Broome offers a variety of fully self-contained 1, 2 and 3-Bedroom Apartments. Featuring two designer swimming pools, one with a waterfall, Mantra Frangipani offers a private oasis within the spectacular Kimberley region. The apartments all provide guests with spacious living and dining areas, large bedrooms, along with a fully equipped kitchen and signature private outdoor shower. Mantra Frangipani Broome Apartments are 10 minutes’ drive from Broome Visitor Center and Broome International Airport. Town Beach and Roebuck Bay are a 15-minute drive away, where on certain dates you can experience the natural phenomenon of the Staircase to the Moon. This property is also rated for the best value in Broome! Guests are getting more for their money when compared to other properties in this city. 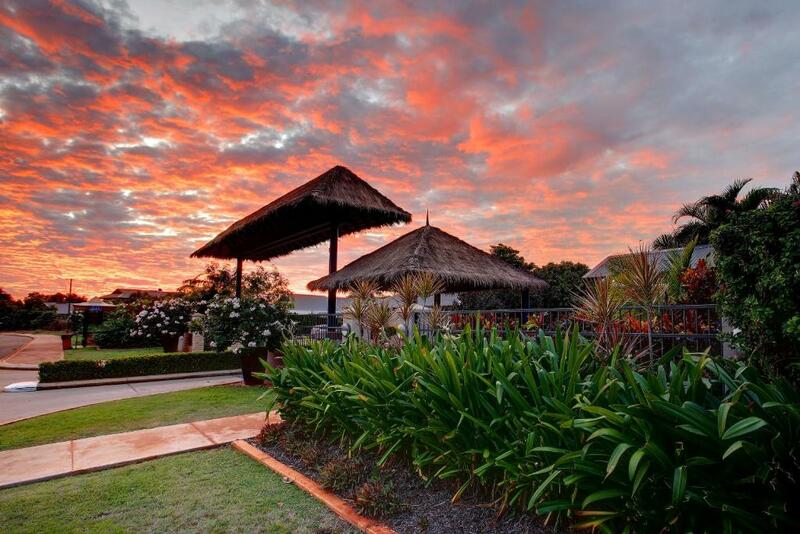 When would you like to stay at Mantra Frangipani Broome? This modern apartment features a private balcony, BBQ facilities and a fully equipped kitchen. It has a day bed and a lounge area with a flat-screen TV with cable channels. It also offers a desk, laundry facilities, housekeeping on a weekly basis, and an private bathroom. Please note that this apartment does not have an indoor shower. The bathroom only contains a toilet and a sink, the shower is outdoors in the private patio. Please note that the price is based on 2 guests. Maximum occupancy is 3 (see Hotel Policies). Guest must advise the property if they require an additional bed by using the Special Requests Box at the time of booking, or by contacting the property using the contact details found on the booking confirmation. This modern apartment features a private balcony, BBQ facilities and a 2 fully equipped kitchens. It has a day bed and a lounge area with a flat-screen TV with cable channels. It also offers a desk, laundry facilities, housekeeping on a weekly basis, and 2 bathrooms. House Rules Mantra Frangipani Broome takes special requests – add in the next step! Mantra Frangipani Broome accepts these cards and reserves the right to temporarily hold an amount prior to arrival. Please note that this property requires a 200 credit card pre-authorization or cash deposit upon check in to cover any incidental charges. Please note that housekeeping service is only offered weekly. It’s location is a fair walk from Cable beach in the heat but the bus stop at the door makes getting around very easy. The rooms are starting to look a bit tired and need painting and the decore updating. Wi-fi was not accessible from by room. Spacious, comfortable, clean with good cooking facilities. Liked the shower facilities. That there wasn’t much complimentary stuff, and that everything in the room was so expensive. And maybe need an extra blanket at the hotel. The pool was close to the room, and the room was amazing. Outdoor shower was incredible too. The bus service only operated one bus an hour which made it very difficult to get around Broome and I felt isolated in this location (it was low / wet season). Being a solo female traveler I would definitely hire a car next time. The family in the room next to me were very noisy constantly dragging furniture across the tiles which made the worst noise. There was an outdoor spotlight opposite my bedroom, angled in the direction of my bedroom window which was kept on all night and illuminated the room. I was very impressed with the accommodation and facilities, I stayed for 5 nights in March and thoroughly enjoyed it. The bed and bedding were very comfortable- the top sheet had a slight hole in it but nothing to complain about. The air conditioners were efficient and the WiFi reliable, which is important. I was a little dubious about the outdoor shower (because I had an outdoor bathroom in Bali) but enjoyed having a shower outside - it is so much nicer NOT having to put makeup on and do your hair outside because of the humidity. The pools (2 separate ones) were clean and refreshing... Overall a great stay. We had no actual blanket on our bed only sheets, there was no daily room service/cleaning I had to walk to reception to pick up extra blanket, toilet paper and towels. Also not enough milk, tea and clothes/dish washing liquid provided for length of our stay. The window blinds in bedroom for outdoor shower area were very annoying and difficult to pull up every morning. Foxtel movie channel's weren't working. The outdoor shower was very nice and the pool and BBQs were great also the free WiFi helped us out a lot. Love love love the location and love that there's a full kitchen and laundry in the room. Staff were very welcoming And friendly. Our particular accommodation rather dark in lounge/kitchen area. Some trees needing pruned. Location excellent. Spacious accommodation. Lovely pool. Great having your own BBQ in outside area. Outdoor shower superb also. No indoor shower facility especially in the very high humidity. The front of house staff was not as knowledgeable as others were. If this person was training this could have been mentioned to me. As I had travelled more than 6 hours and the last thing I wanted was to be uneccesarily waiting. I loved the stay I make it a point to stay at the Mantra Frangipani when in Broome. I love how clean and comfortable this place is. 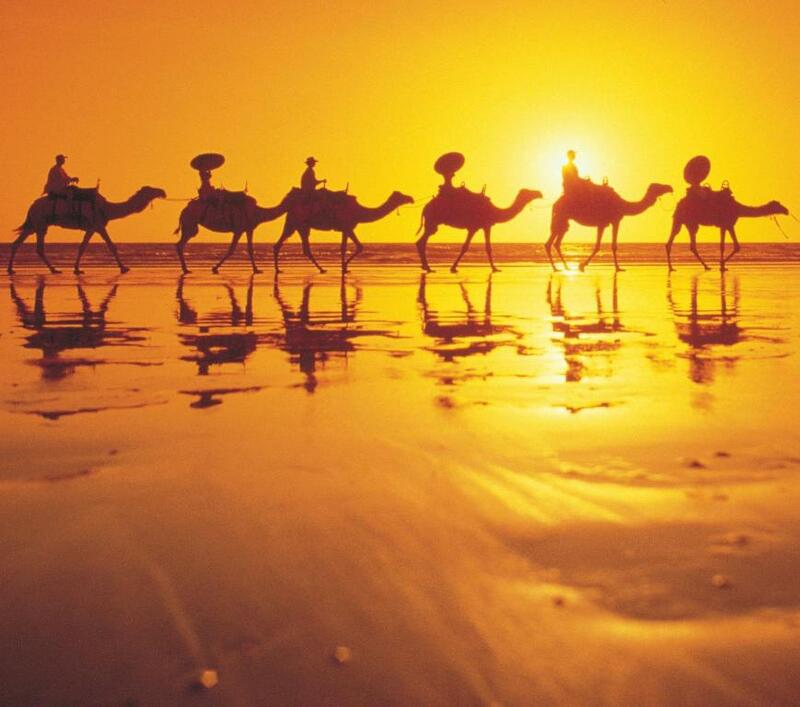 I travel to come to Broome and I choose to stay here because it is a quality spot that has everything I need. The size of a one bedroom appartment was fabulous, also the pool was great!